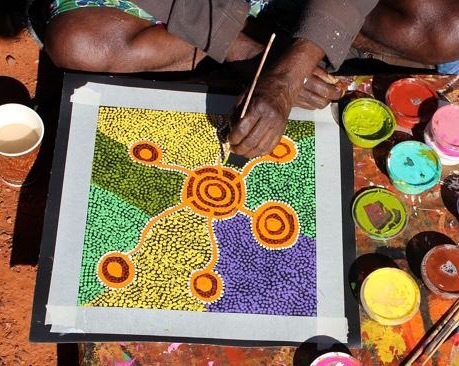 Aboriginal art is communication through pattern. 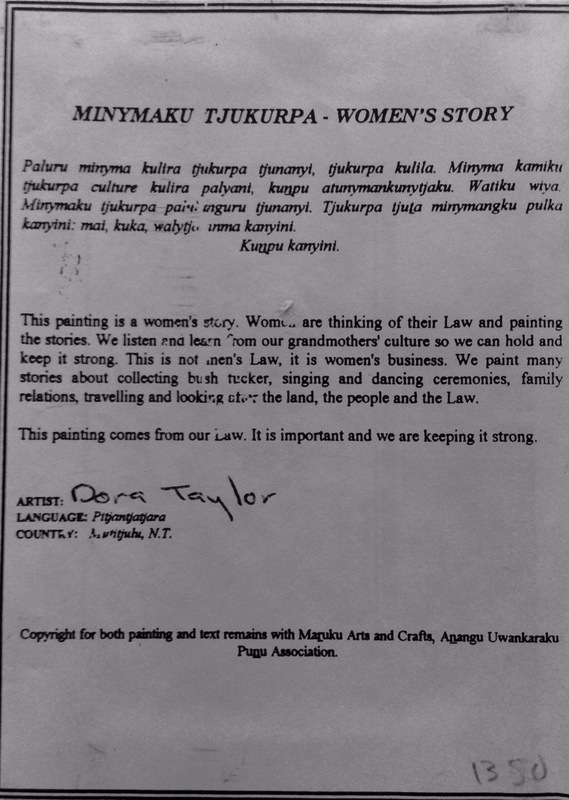 All designs have a story behind them and this form of storytelling/communication started some 30,000 to 40,000 years ago. 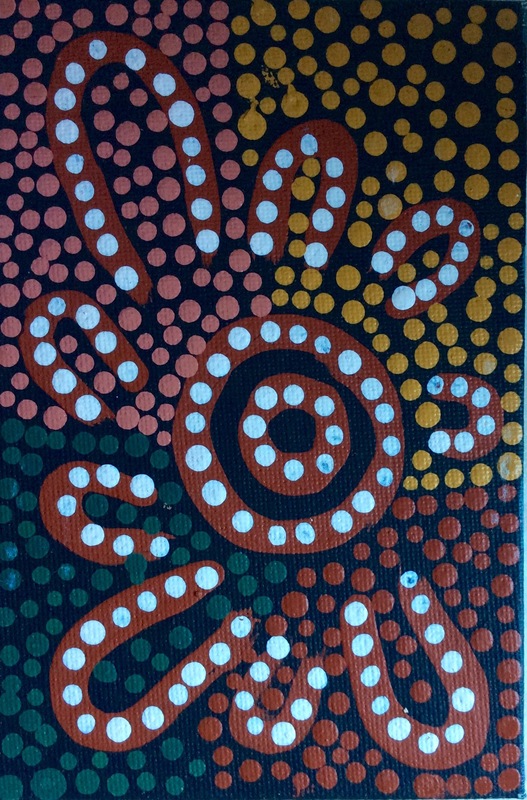 In Aboriginal dot paintings the different colours represent different things. For example yellow is the sun, brown the soil and white the clouds, etc. I found one other thing when I opened up the back. 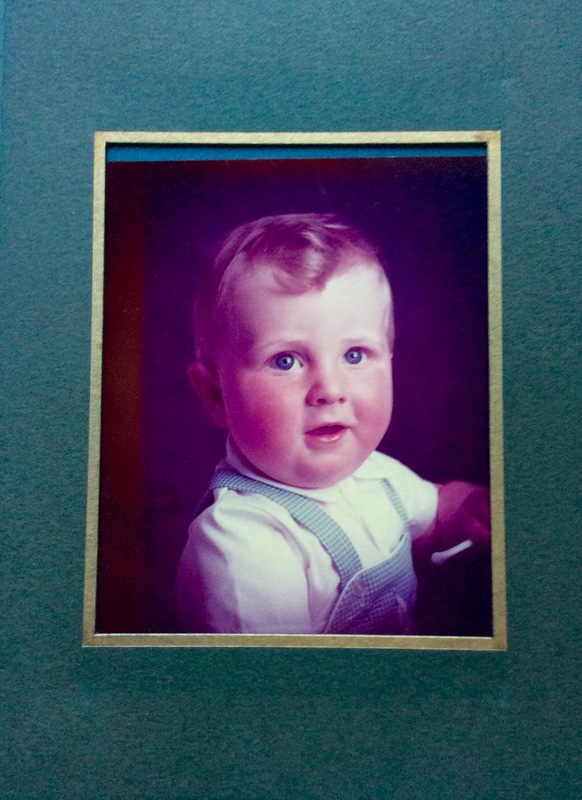 The painting had been put on top of a photo of this lovely looking little chap. Really interesting. I wonder how it ended up here.